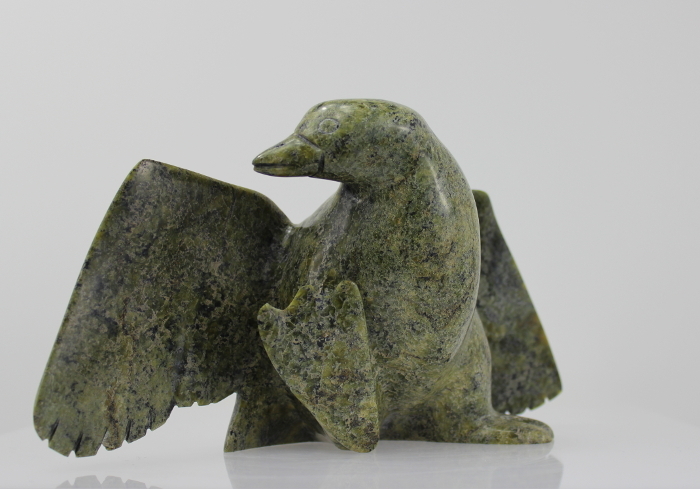 This goose has been expertly carved by Ottokie Samayualie. 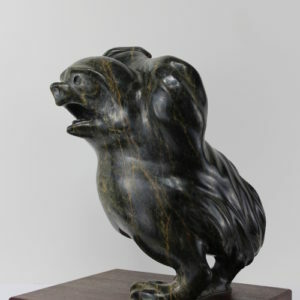 It is a gorgeous serpentine depiction of a common bird. The stone used in the piece is a lovely colour. 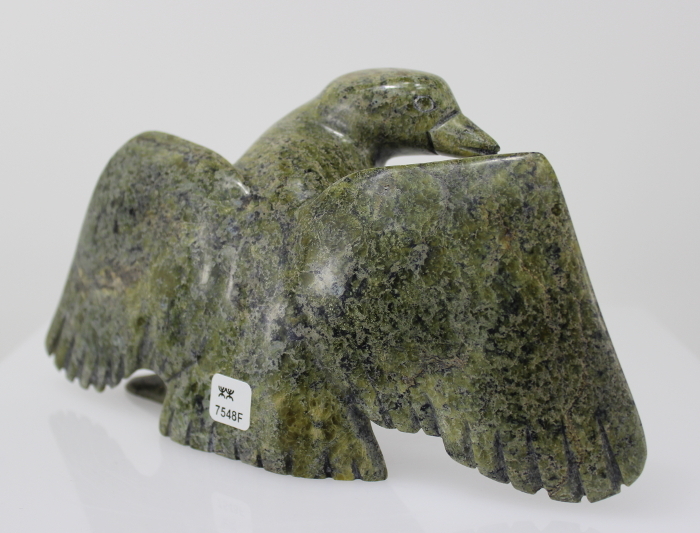 The pose of the goose is great, and beautifully carved. 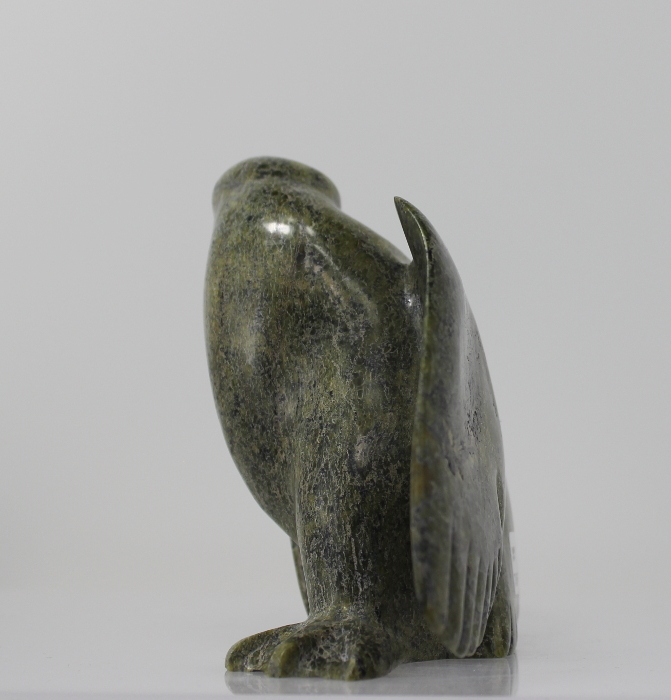 This is a fantastic piece of Inuit art! 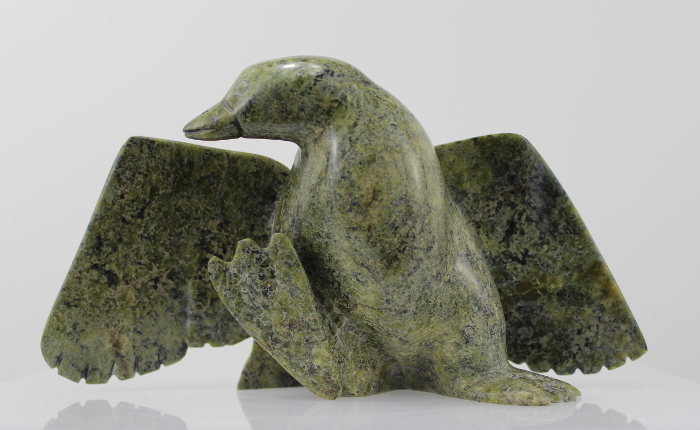 The community of Cape Dorset boasts more famous artists per capita than any other region in Nunavut. Ottokie is the son of the talented local artists, Johnny and Kuluajuke Tunnillee. 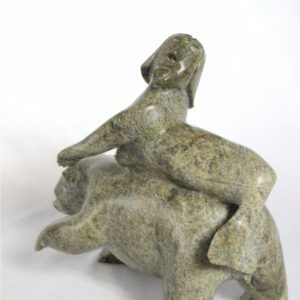 It is not surprising that Ottokie has followed the same artistic path, as in Nunavut, artistic talent is passed on through the family rather than taught in an art academy. 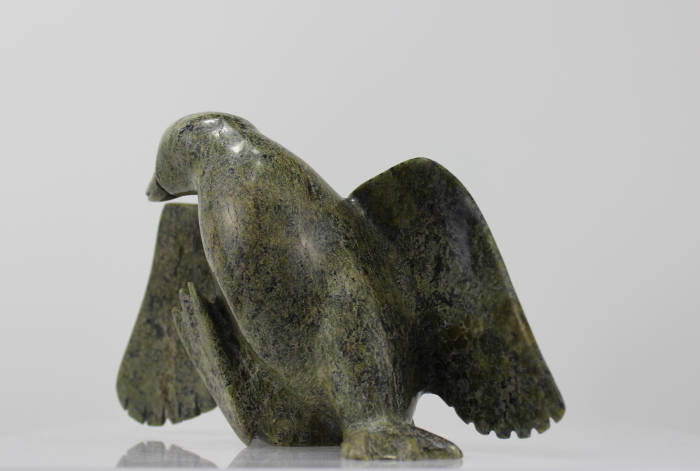 The Cape Dorset sculptural style is a combination of observational naturalism and reduction to stylistic and sometimes abstract forms. This is present in Ottokie’s carvings. Ottokie takes great care in choosing the stone. 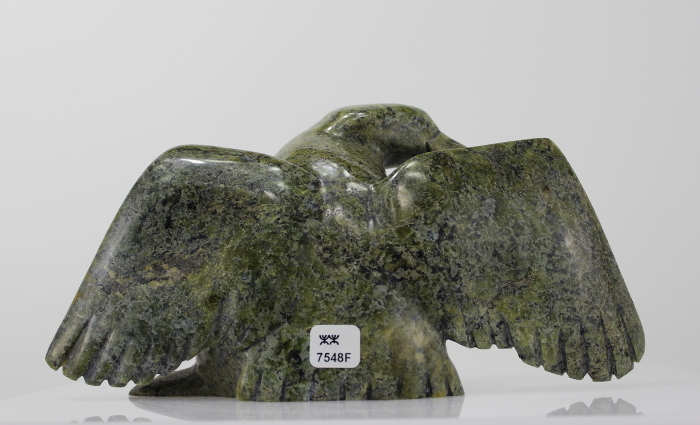 His carvings are made of the finest serpentine of varying shades of green and then smoothed and polished to best exhibit the lustre of the stone. 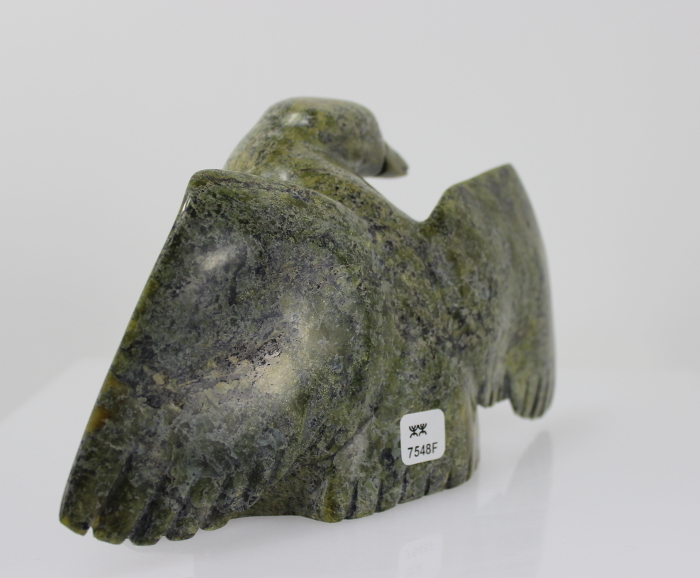 Serpentine is a rock with composition similar to that of Jade and is found on Baffin Island. 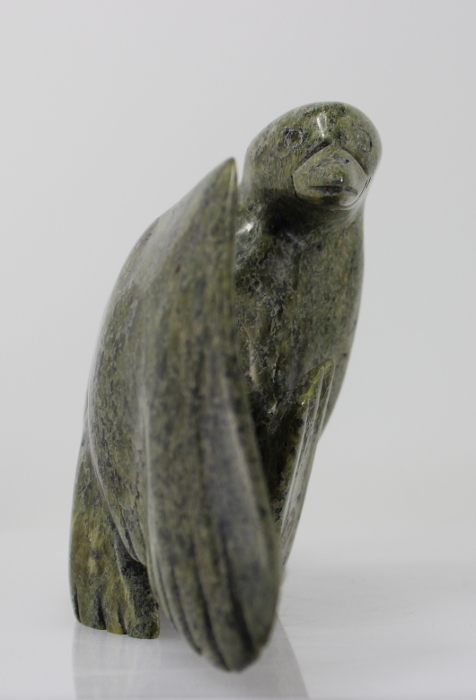 It is a very hard stone that requires more artistic virtuosity to carve than the softer soapstone.